Simple solution for manually paid subscriptions, recurring products and reorders. 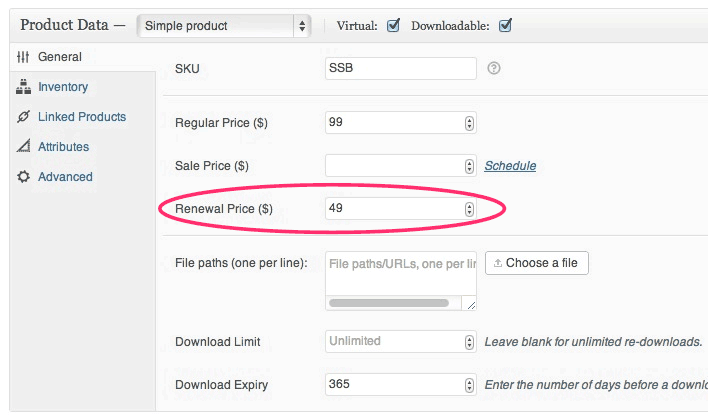 Set special price for repeat orders for each product and allow manual renewal of downloadable products. Don’t want a complicated subscription setup? Do you want to offer a simple, non-automated, renewal system to your customers? Do you want to give special prices for ordering a product again? 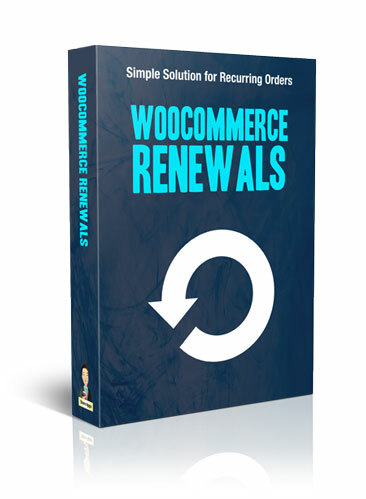 WooCommerce Renewals is the solution! 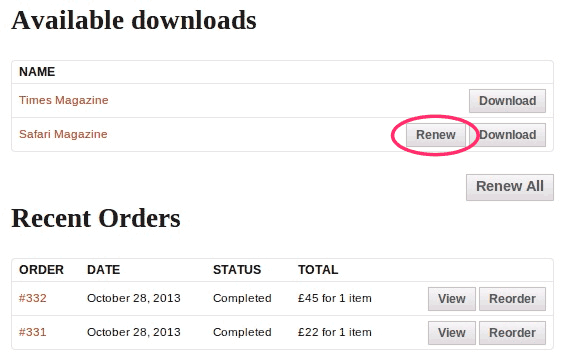 What WooCommerce Renewals ‘Does NOT’? Especially useful when you offer digital downloads.